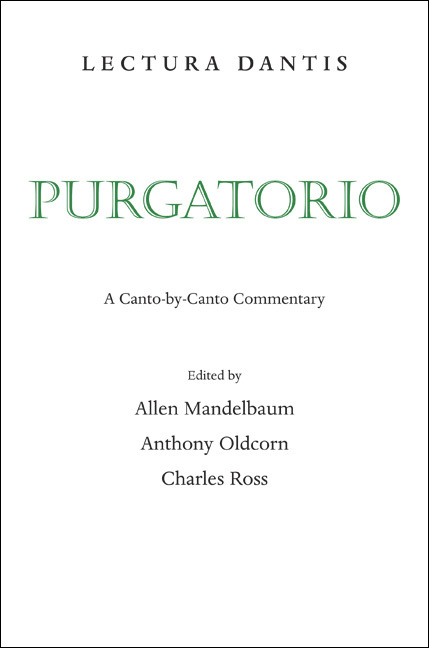 This new critical volume, the second to appear in the three-volume Lectura Dantis, contains expert, focused commentary on the Purgatorio by thirty-three international scholars, each of whom presents to the nonspecialist reader one of the cantos of the transitional middle cantica of Dante's unique Christian epic. The cast of characters is as colorful as before, although this time most of them are headed for salvation. 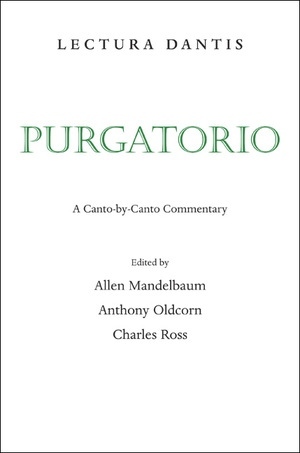 The canto-by-canto commentary allows each contributor his or her individual voice and results in a deeper, richer awareness of Dante's timeless aspirations and achievements. Allen Mandelbaum is W.R. Kenan, Jr., Professor of Humanities at Wake Forest University and a National Book Award winner. He is the translator of the UC Press facing-text editions of Dante’s Divine Comedy (in three volumes: Inferno, Purgatorio, and Paradiso), as well as the UC Press editions of the verse translations of The Odyssey of Homer and The Aeneid of Virgil. Anthony Oldcorn is Chair of Italian at Brown University. Charles Ross is Professor of English and Comparative Literature at Purdue University.